According to former Supreme Court Judge, Justice B.N. Agarwal, the legislation and Constitutional amendment establishing the National Judicial Appointments Commission could lead to the Judges having a fate similar to the Governors, being transferred from one State to another. 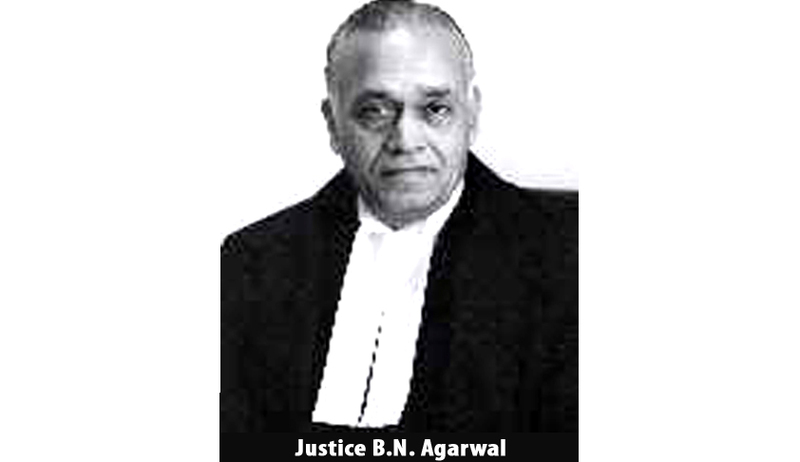 Justice Agarwal, who retired in 2009, is one of the longest serving members of the Supreme Court collegium. He advocated for the present system of appointment by the Collegium, reasoning that, "In the existing system, there could be differences amongst the judges about a particular choice, but there is no political interference. There is nothing wrong in the institution." He agreed that there have been mistakes in the past, stating, "Injustice was done to justice AK Patnaik and Justice GS Singhvi, both brilliant and upright judges. Their elevation (to the apex court) was delayed and they should have become and retired as Chief Justices of India." Justice Agarwal recalled instances of injustice meted out by the collegium system. “During UPA 1, advocate Rakesh Kumar was targeted because he represented CBI in fodder scam. A powerful person who was then part of UPA 1, apparently scuttled his appointment. It is only in UPA 2, when this person exited, Rakesh Kumar was appointed as a Judge of the Patna HC, where he is currently serving. His appointment was delayed by over one year, his file was sent back to us for reconsideration but we reiterated the recommendation, but then government sat over it and delayed it." He recalled the era before the collegium system was set into place and cautioned against the power of the present Government which is clearly stronger than UPA Government. He stated, "Even when there was primacy of the government, whatever Chief Justice said, was final. My father Justice N.L. Untwalia became Judge of Patna High Court, when he 42 years and 4 months, in 1957-1958. My recommendation in favour of my father was forwarded to the then President of India Dr Rajendra Prasad, who returned the file with a note: he is too young, there are older people, who if offered later, they may refuse. The Chief Minister, SK Sinha, however, supported Chief Justice and my father's recommendation was reiterated, that is character." Read more news about the Bills here.